Aurora Electric Motors is a 100% Mexican Independent Company located in Nuevo Leon, Mexico near the Texas border. 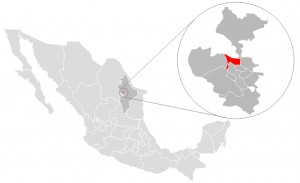 Aurora Electric Motors is located in Escobedo which is part of the Monterrey Metropolitan area. Because of its strong steel industry, it is often called "the Pittsburgh of Mexico". The city has prominent positions in sectors such as steel, cement, glass, auto parts, and brewing. In 1999, Fortune magazine recognized Monterrey as the best city to do business in Latin America and is currently ranked third best by the America Economia magazine. The magazine attributes its economic wealth in part to its proximity with the United States-Mexican border and mentions Monterrey as a significant city with economic links to the United States. Monterrey is the third largest city in Mexico and is located only 175 miles south of the US border. The transportation time from our facilities in Mexico to the customer´s location in Houston, TX is about 36 hours. We warranty a safety and on-time delivery of your assets.